When librarian Celeste Nichols's children's book becomes a success, she's stunned. Enter Flynn Delaney, her childhood crush, and his young daughter, who could use some of Celeste's storytelling magic since her mother passed away. With the help of Cupid and Santa, this trio might just have the best Christmas yet! Montana Mavericks: What Happened at the Wedding? Rust Creek Falls' top—secret gossip columnist, Kayla Dalton, has the inside scoop on her high school crush, Trey Strickland. The Thunder Canyon cowboy is going to be a daddy! How does she know? Because she’s pregnant with his baby! 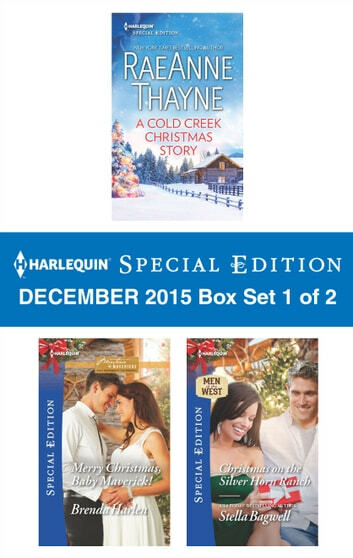 Look for Harlequin Special Edition's November 2015 Box set 2 of 2, filled with even more stories of life, love and family!